A paradise for water sports fans, children and gourmands, Tanjung Aru Beach is the perfect getaway for families, young couples as well as groups of friends from Kota Kinabalu and a dream destination for many tourists all over the world. Nobody can resist the temptation of fine sand and crystal clear water, all wrapped up in the mild Asian sun. You can have that, seasoned with good food and refreshing cold coconut drinks, on the perfect tropical island vacation: your Sabah vacation. Only 6 kilometers away from Kota Kinabalu is a place that will certainly enchant your senses. To reach Tanjung Aru Beach you can take one of the public buses or get a taxi to take you there in 15 minutes. Once you are there make a list of priorities, so that you can cover (almost) everything that this part of Sabah has to offer. Below you will find some ideas to make your stay entertaining and highly relaxing. The following list is by no means exhaustive as everyday there is something new to do here. Whether you reach Tanjung Aru in the morning, at noon or in the evening, you must taste the local food for an energy boost and an incredible gastronomic experience. Choose a hawker stall for fresh seafood dishes, noodles in all shapes and combinations, try the famous pickled fruits and get a taste of the Malay “fast food”. Make sure you start your Sabah vacation with a refreshing coconut drink to go with your meal. The open-air restaurants are opposite to the beach bus stop, so that you can have your share of tasty food as soon as you set the foot in Tanjung Aru Beach. Sunbaths on the fine sand will give you that nice brownish tint and will help you unwind, but for a balanced vacation we also recommend you to explore the beautiful beach by taking a long stroll soaking your feet in the water. It will connect you with nature and bring that peace of mind you need after a busy and stressful period of hard work. Sunsets are extremely spectacular on the beach. Most of the times activity stops in Tanjung Aru Beach to admire the symphony of colors displayed on the Sabah sky every evening. Water sports should be part of any tropical island vacation, so they could not miss from Sabah’s offer. You can experience scuba diving or have your share of adrenaline on water skis. There are some great places for scuba near the Tanjung Aru Resort Hotel Sabah at the resort you can arrange for water skiing sessions. People there are professionals, so you will certainly come back with some beautiful memories. Family vacations usually focus on children’s wellbeing, while parents keep giving up their pleasures for their little ones. A Sabah vacation will please both adults and kids as the beach offers a pleasant way to spend time for people of all ages. Furthermore, you can let your children have fun at the Tanjung Aru Beach Park (also known as Prince Philip Park) while you can relax on the beach or have a snack at one of the numerous local hawkers. 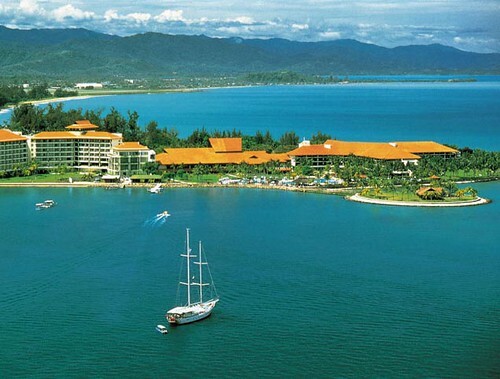 If you are in the mood for something special, then you should book a room at Tanjung Aru Resort Hotel Sabah. The resort, which spans over 25 acres of lush vegetation, has no less than 495 rooms, each one offering splendid views towards the see or towards the majestic Mt Kinabalu. The resort boosts a beautiful outdoor pool and spa which promotes Asian embellishment and treatment techniques. Tennis, jungle trekking and rock climbing are also available at the resort for those seeking adventure and physical challenges. 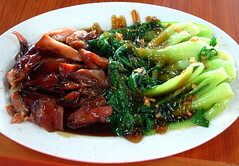 While at the Tanjung Aru Resort, you should also sample the food from their famous restaurants. You can choose a traditional Malay meal, taste Italian foods or choose an international restaurant for a culinary delight. Six restaurants await you for the most wonderful dining experience. Tanjung Aru Beach is one destination which should not miss from any Sabah vacation. It is the perfect place to unwind and recharge your batteries for a long period of hard work. Tell us about Your Tanjung Aru Beach Experience! Been to Tanjung Aru Beach and loved it? Would you like to review on your vacation experience at Shangri La Tanjung Aru Resort Hotel Sabah? Share your experience with Tour Borneo Malaysia Community here.